I’m a member of the Better Homes and Gardens Live Better Network, while this post was sponsored by them, all opinions are my own. I make no excuses for posting Christmas stuff before Thanksgiving. I posted Thanksgiving stuff before Halloween, so it had it’s turn too. But seriously, Christmas is everything to me and it’s more than just the decorations…it’s the traditions and the love and the general feeling in the air. I seriously love how my Thanksgiving table turned out so much that I wanted to do a Christmas version as well. And doing these tables really is very simple…I don’t do complicated entertaining. I’ve tried that and it’s just too much stress, and doesn’t that defeat the purpose of having people over? Isn’t it supposed to be fun? 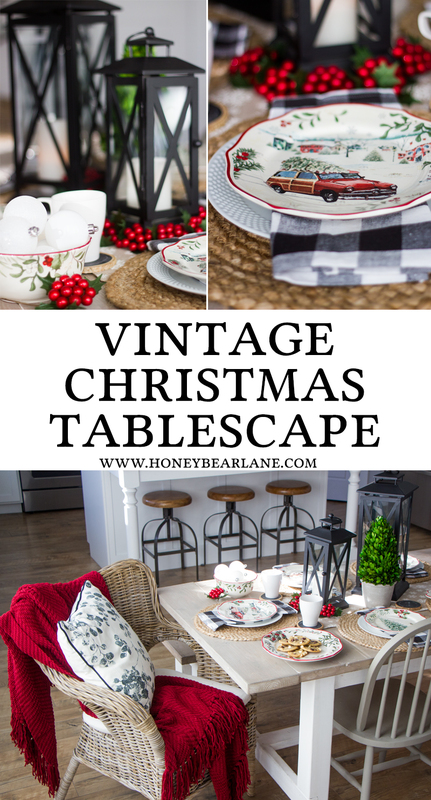 In actuality we usually use paper plates and cups for family dinners but once in awhile when I invite just a few couples over, we can use the pretty stuff, like this vintage Christmas table setting. Like these hobnail plates. These plates are my favorite white plates I’ve ever owned. I was hesitant to buy them at first because I’ve always loved super simple white plates, but once I saw how adorable these were paired with salad plates I was sold. 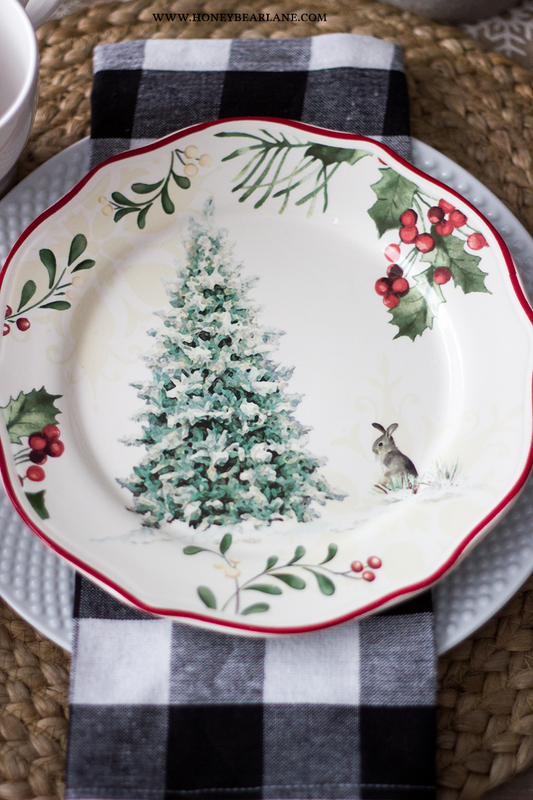 And seriously, how cute are these Christmas plates? 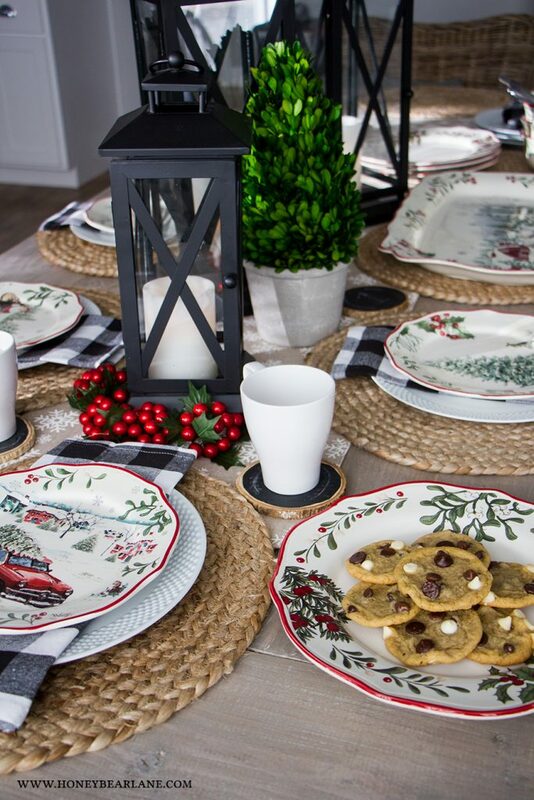 I love this whole Better Homes and Gardens Heritage dinnerware collection. 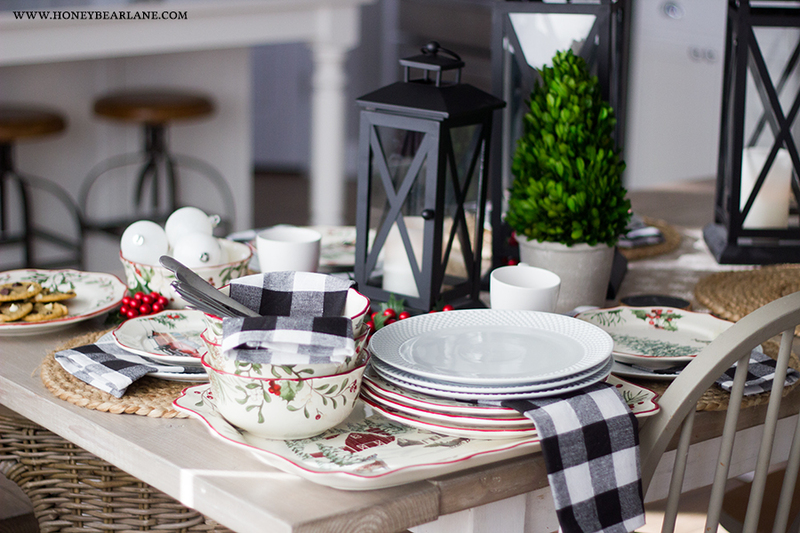 It’s so classic but gives the impression that your table is super dressed up. So I paired the hobnail plates with the Christmas salad plates and used these cute buffalo check napkins underneath so it didn’t hide the pretty picture on the salad plate. For the centerpiece of the table I just wanted some pretty greens with my Better Homes and Gardens lanterns and the LED candles inside. These can easily be removed when it’s time to eat if they are getting in the way of conversation. 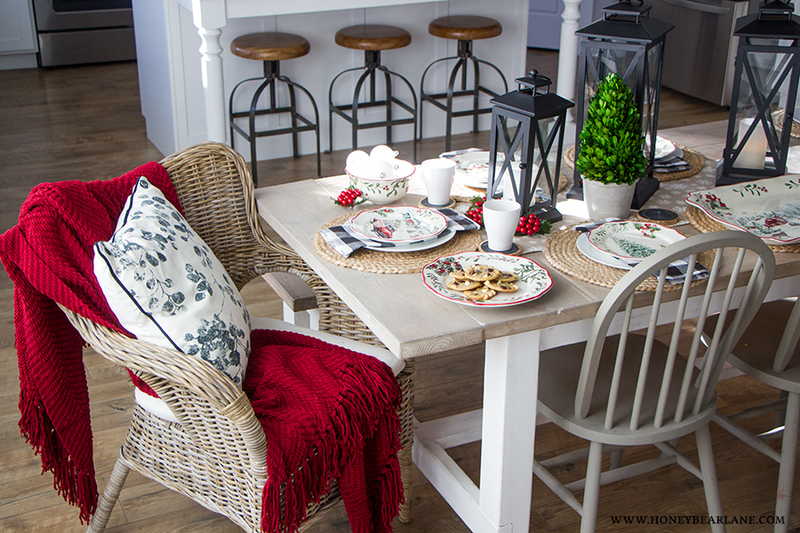 One of my favorite things in this table setting are the pillows and throw blankets on the end chairs. Buying these end chairs was such a great decision for my table because they are super comfortable and the pillow and blanket just make them even more comfortable and cute! 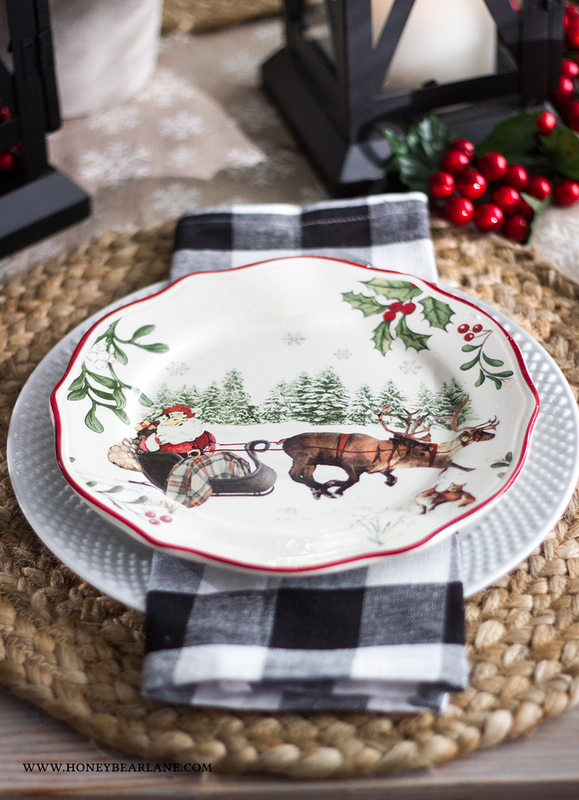 Here’s my dilemma: I LOVE this Christmas plate collection. I have enough settings for eight people but when, oh when, will I ever have only eight people to serve? Pretty much only if I invite three other couples over for dinner wherein my children are nonexistent. And let’s be honest…that’s not going to happen. But what is going to happen with these plates is a cookie exchange or something where I can set out all the cute plates for treats to share. Or maybe someday I will have a small couples Christmas party haha! I also just love these bowls and the big platter. 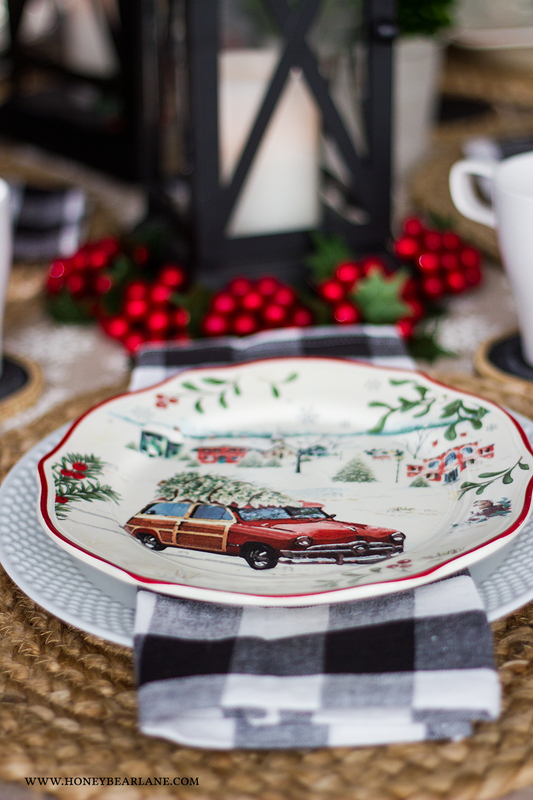 The platter is sold separately from the collection but it is such a great piece to have. Christmas dinners for rolls, turkey, desserts, crudités, whatever. Whether or not I’m hosting a Christmas dinner this year, I’m super excited to have this collection ready to go. It makes it all so easy while looking so beautiful. These are very pretty dishes thanks for sharing Heidi. Those dishes are adorable! 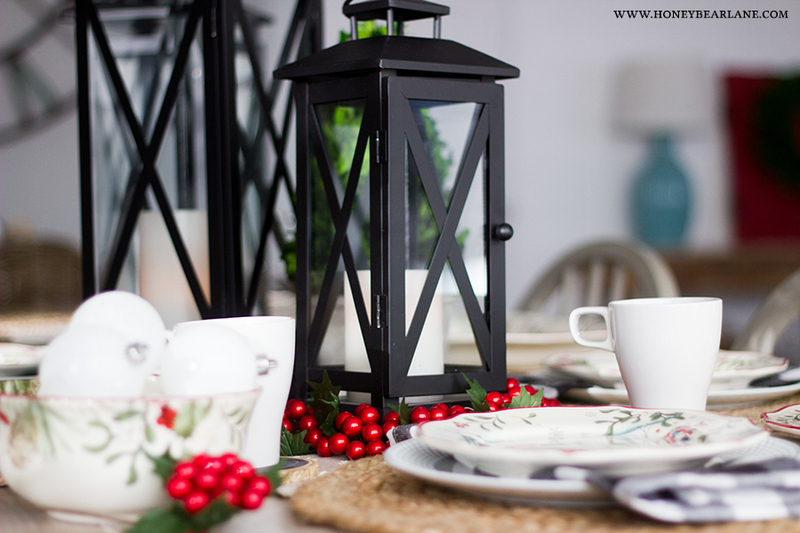 A pretty tablescape is my favourite thing no matter what the season! 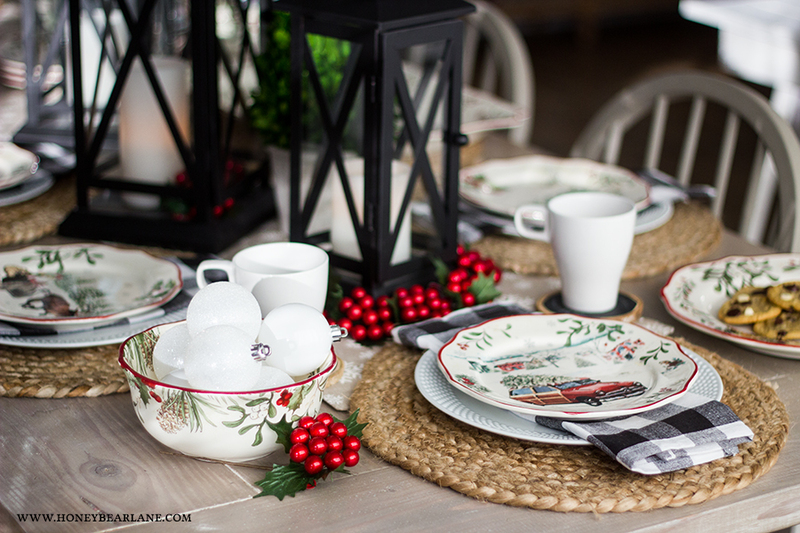 Your Christmas table is very inviting! Thank you! I love the dishes too!